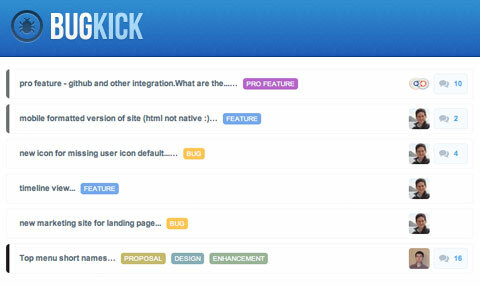 BugKick is an open source bug tracking and task management application (source is hosted on GitHub) that is “light” in means of features (which i sometimes nice). It is built with PHP-MySQL and allows teams to define projects, add tasks to them (which can be tagged with anything like “bug” or “feature request”) and assign to teammates. Discussions under each task is possible, status updates about each of them are delivered via e-mail and closed ones are not deleted but kept.